The German tour operator delivers the prizes with which customers recognize the 100 best establishments in the world. 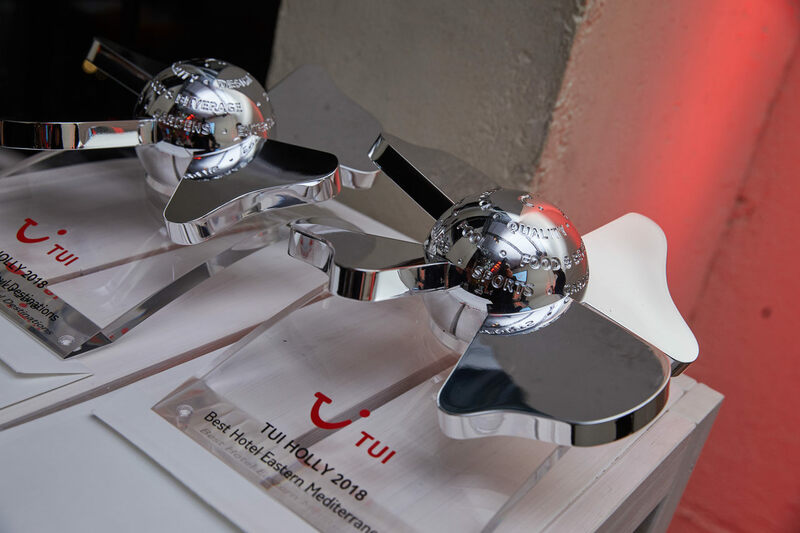 One more year, the German tour operator TUI delivered its TUI Holly 2018, an award received last night in Berlin nine hotels in the province of Tenerife, all associated with Ashotel, and eleven in the province of Las Palmas among the hundred best hotels in the world where this tour operator works. This recognition is of great importance to hoteliers, as it measures the level of satisfaction that customers reflect in a survey they fill at the end of their stay. The nine award-winning hotels in the province of Tenerife are Jardines de Nivaria, Roca Nivaria, Riu Garoé, Riu Palace Tenerife, Vincci Selección La Plantación del Sur, Tigaiga, Botanical The Oriental Spa Garden, Ambassador Apartments and Calera Beach, all of Tenerife except the last, of La Gomera, and almost all of them also awarded in the previous edition. The award ceremony, held at the Umspannwerk Alexanderplatz events venue in Berlin, was attended by, among others, the president and vice president of Ashotel, Jorge Marichal and Enrique Talg, whose establishments were awarded. These nine establishments in the province of Tenerife are added to another eleven in the province of Las Palmas. These are the following: Gold by Marina Aparthotel, Cordial Mogán Beach, Palm Beach Seaside, Gloria Palace Royal Hotel & Spa, Riu Palace Meloneras Resort, Seaside Grand Hotel Residence, Sandy Beach Seaside Hotel, The Puerto de Mogán Hotel, Queen Elizabeth, Tropical Park and The Costas. The 20 awards granted to the Canary Islands place the archipelago as the second destination with the largest number of winners with the TUI Holly 2018, followed by Turkey, with 21 award-winning hotels. In 2017 the winners in the Canary Islands were five less than this time. The TUI Holly, which have been recognizing the 100 best holiday hotels in the world since 1994, are a symbol of success in hotel management, and include the assessment that customers make of attention, facilities, service, food or cleaning of the establishment, among other punctual aspects. The TUI Holly is the highest accolade that can be accorded a TUI Hotel. It stands for everything that makes a TUI holiday perfect: Great attention to detail, superb service and outstanding cuisine. The TUI Holly is premium prize for the 100 most popular TUI hotels worldwide – and only those who make our customers perfectly happy can hope to join the winners.